Even though it hit a few speed bumps not long ago, we can take solace in knowing that Bond 25 is indeed on its way. Set to serve as Daniel Craig’s fifth and final appearance in the long-running espionage franchise, one can only assume that it’ll pull out all the stops and leave audiences breathless. With opening weekend less than a year away, it shouldn’t surprise anyone to see the film taking shape. Already, we’ve learned that Ralph Fiennes, Ben Whishaw and Naomie Harris will return as their respective series stalwarts, M, Q and Moneypenny. And if that weren’t enough, Lea Seydoux will reprise her role from Spectre, that being Dr. Madeline Swann. That last one especially surprised me because you don’t usually see Bond Girls carry over into other movies. Now that production is underway, the first behind-the-scenes photo has actually made its way online. 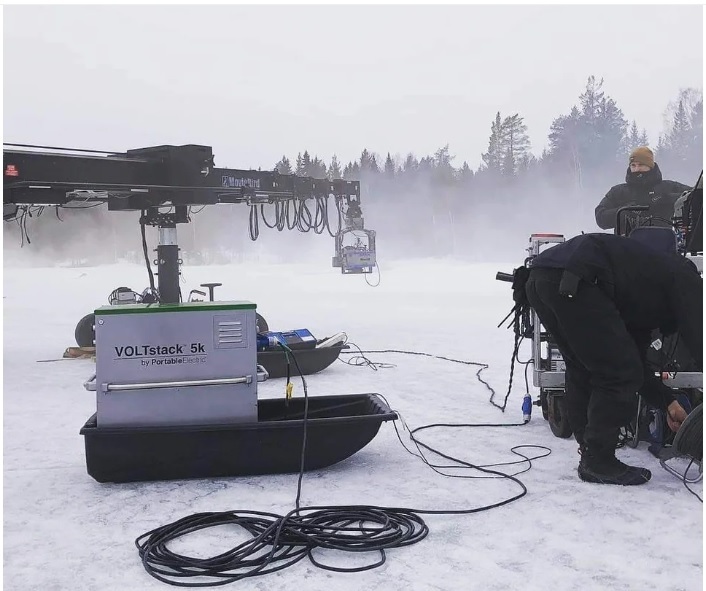 Seen below, the crew can be spotted setting up their gear for a scene to be filmed in Nittedal, Norway. Of course, this doesn’t mean that Norway itself will serve as a backdrop as it could be doubling for some other icy location, but the franchise is known for showcasing all reaches of the globe. Admittedly, we can’t jump to conclusions, but if filming is occurring somewhat linearly, this image could be setting the stage for an opening action scene meant to precede the opening titles sequence. If so, fingers remain crossed for something else besides a ski chase because that concept has really gotten old. Bond 25 – or whatever it ends up being called – is scheduled to arrive in theaters on February 14th, 2020. Rumors point toward “Eclipse” being the title, but let’s wait until the studio gives confirmation before referring to it as such.